Anyone check it out yet? 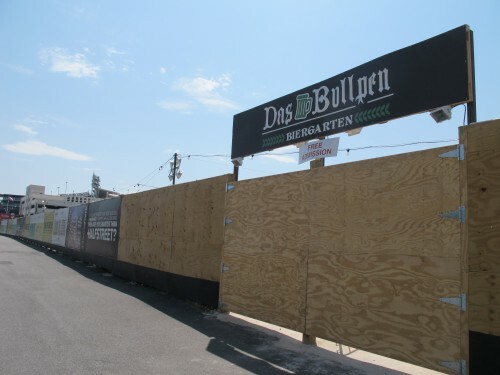 How does it compare to the Biergarten on H St, NE? 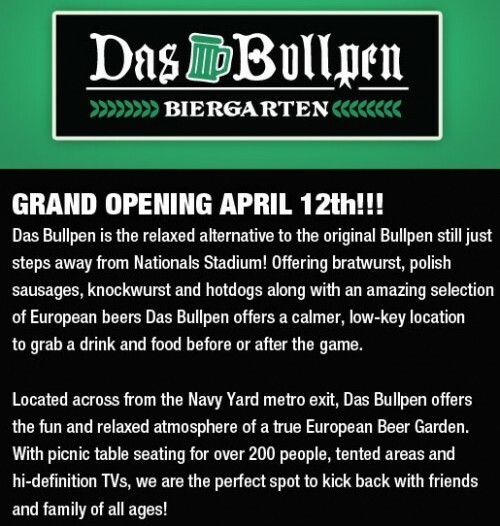 Before going to a game would you recommend the original Bullpen or Das Bullpen? On a side note, it seemed a shame that this whole area (even the beautiful Yards Park) with the exception of a few souls, was basically a ghost town on that beautiful Sunday we just had. It’s too bad these places aren’t open on non game days.